Instead of £458.00. You save £22.90 due to the online discount . 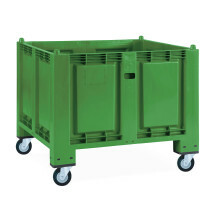 This large, impact-resistant polyethylene container with steering castors is ideal for the temporary storage and transport of goods. 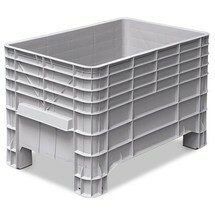 The ribbed side walls are extremely durable, making this container ideal for industrial applications. 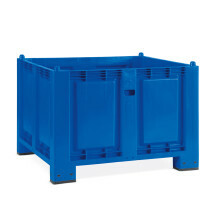 This large box is made from high-quality polyethylene and is ideal for the temporary storage and transport of bulk materials, small parts or textiles. 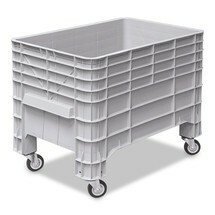 Thanks to the rollers under the feet, you can easily position the box at the desired location. 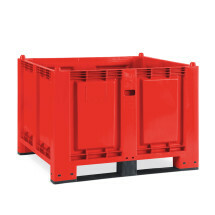 The large container can also be picked up and transported with a forklift truck, while up to 6 containers can be stacked on top of each other. It can be used both in cold temperatures down to -40°C as well as in hot environments up to +60°C. 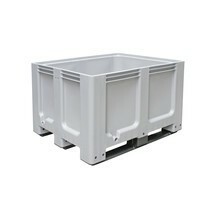 The container is also resistant to many oils, greases, acids and alkalis, thus making it ideal for use in workshops and laboratories. 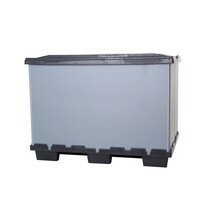 Moreover, the large box is entirely food-safe, meaning that it does not impair the smell and taste of any stored foodstuffs. The smooth interior surfaces can be easily cleaned without residue. 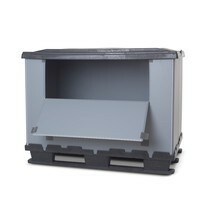 Our range of accessories also includes matching slip lids to protect the contents of the box. 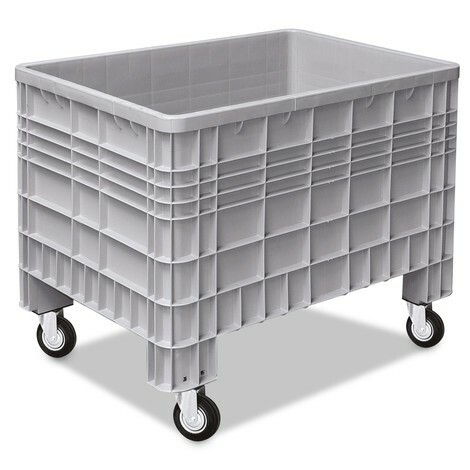 Order the large container made from high-quality polyethylene from our shop today.